The Taste of the Trails is an off road trails riding experience that will depart from the Hatfield McCoy Trails located in the Trail Towns of Williamson and Gilbert, WV around 8:30 a.m. on the morning of April 6th, 2019. These monthly off-road trail riding experiences are scheduled to take place on the first full weekend of each month during our primary riding seasons. The rides will return back to the rider’s destination of choice by 6:30 p.m. on that same day. These events are tentatively planned to be monthly guided SxS and ATV touring events. 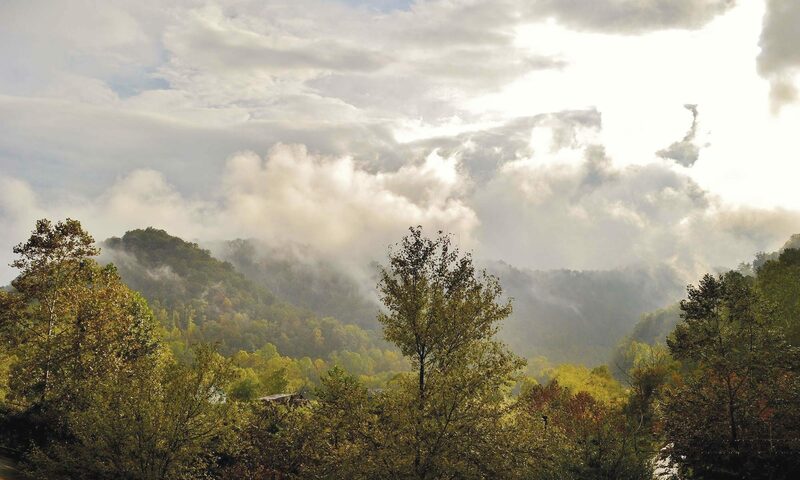 Each ride will wind their way through the Hatfield McCoy Trails System into to the historic town of Matewan, West Virginia. From there, the riders will enter into the historic feud area of the Hatfields and McCoys on the Kentucky side of the Tug. A short break is planned in Matewan and McCarr for fuel and lunch before the ride continues onto Pike County KY’s sister trail system for the remainder of the afternoon. While in Kentucky, riders will visit several historic Hatfield and McCoy Feud sites, then toward the end of the day rider will have the option of returning back to any one of number of participating lodging and dinning destination for an evening of fun-filled adult entertainment which features some of this region’s finest food and beverages. Throughout the day and into the evening hours our guests will experience all that Southern West Virginia and Eastern Kentucky has to offer from its world class trails systems to the area’s rich history and heritage, featuring spectacular mountain and river views. For those who plan to stay over and ride the following day, you will be on your own or you can book a local guide for your next big adventure. Each participant will need to secure the proper riding credentials as well as follow any local rules of operations for each event. Riders can find general riding information for the WV Operations at any participating HMTS location as well as on their web site at TrailsHeaven.com. You can also contact Wes Wilson, Director of the Tug Valley Chamber of Commerce for more information about this and other events in the Valley. Wes contact info is 304-235-5240. You can also reach out to the CVB’s. The Ellis family who operate Trail 12, Mountain Top Adventures and Twin Hollow Resort will be you best contact for the Greater Gilbert area. Their work number is 304-664-9859 cell is 304-784-8866. You can also contact Juan at the Matewan Depot and Welcome Center for additional information for the greater Matewan area at 304-426-5744. Jim Bevins, PCFC Trails Coordinator, can be contacted by text or cell at 606-454-0004, Jim will be happy to address any questions regarding the WV or KY portion of these events. As for the trails we plan to ride in KY, riders can access several ridge lines, hollows, valleys and drainages along KY Hwy 1056, 319, 199, 3419, 194, 632 and 2059. This area includes the communities of Blackberry, Burnwell, Aflex, Hardy, Belfry, Stone, Pond Creek, Ballfork, Pounding Mill, Neatley, Kemper, Freeburn, Phelps, Majestic Lookout, Jamboree, Knox Creek and Elk Creek. Most if not all of those areas lead directly or indirectly into 4 major Hatfield McCoy Trails and Trail Heads associated with the HMTS in Gilbert, Matewan and Williamson. On the WV side we plan to utilize HMTS trails located on Buffalo Mt, Devil Anse, Rock House and Bear Wallow along WV Hwy 119, 52, 44, 65 & 49. Riders who only want to participate in specific portions of the ride can rendezvous with the group as need in progress. A suggestions for doing this is to connect as we go past one of the major towns or trail heads as well as some of the parks. Another suggestion would be to do so around lunch time, which should be somewhere in the neighborhood of the 12:00 to 1:00 p.m. time frame in and around the town of Matewan and the Buskirk Mini Mall. Please keep in mind that while riders can join the ride in progress each rider is responsible for securing and wearing the proper riding attire and credentials for whatever trail system they plan to ride that day. There are several parks on the KY side of the river such as the Paw Paw Tree Site, Hatfield McCoy Park, The Hog Trail Site and The McCoy Homestead & Well when and where folks can join the ride. Most all of these sites are located along KY 1056 and KY 319 between the communities of Belfry, KY and Matewan, WV. Also please note that at the time of this post there is no Kentucky related trails web page for this event nor is there any public maps available to the general public at this point in time for the KY portion of these rides. In the absence of this information, we’ll continue to utilize the Pike County Trails FB Page to communicate any and all trails related developments, information and events to the general public. Please make sure you save the date and plan to attend one of these exciting monthly events as we roll them out. We’ll plan to see you there, in fact it should be a hoot and the start of a great season of outdoor events! In the interim if anyone should have questions, comments or concerns you should address those to the attention of Jim Bevins, PIke County Trails Coordinator, at 606-454-0004. The Cut-Through Mountain Haunted Holler Adventure, hosted by and benefitting Pikeville’s first responders, will be held at Bob Amos Park. The Haunted Holler meets at the gravel lot at Bob Amos Park. The adventures will be held the three weekends leading to Halloween, Oct. 12-13, Oct. 19-20 and Oct. 26-27, beginning at dark. Featuring new attractions. All proceeds go to Shop with a First Responder.